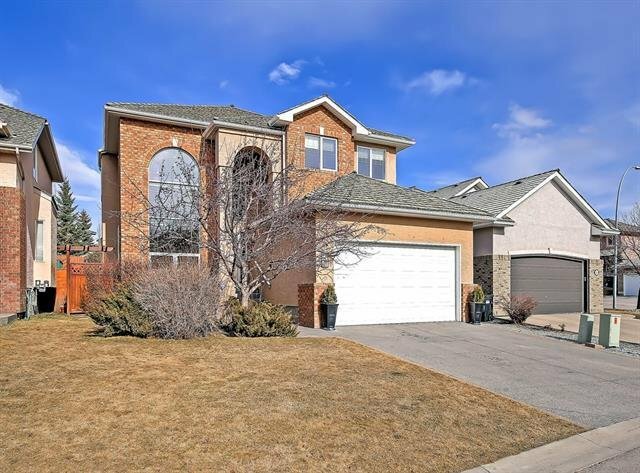 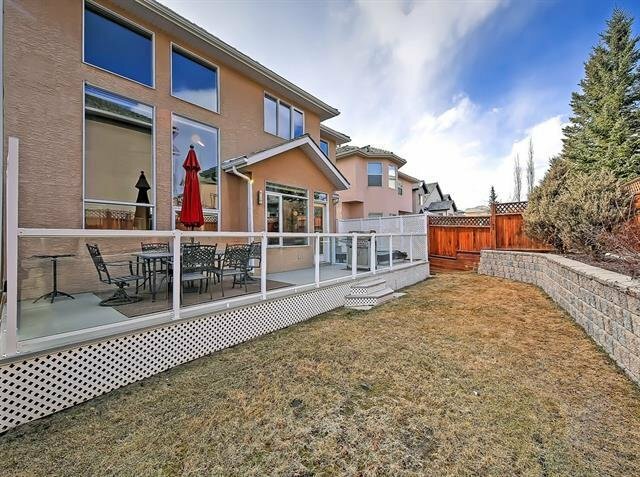 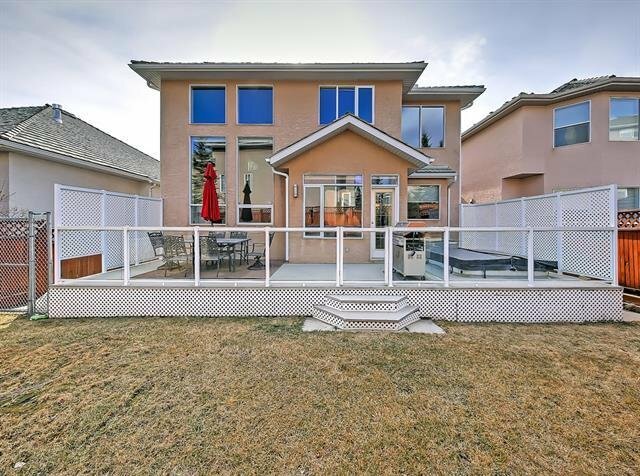 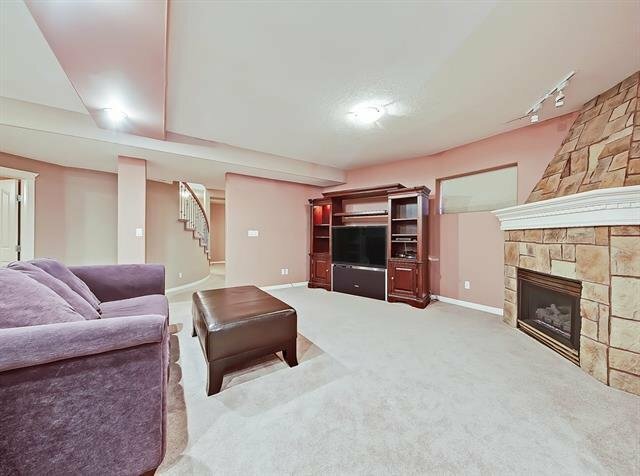 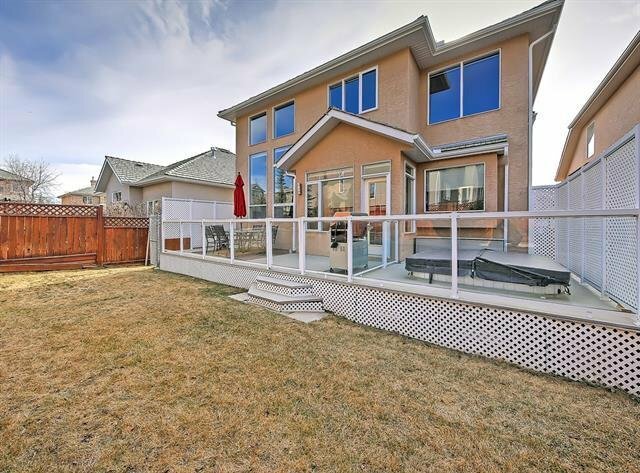 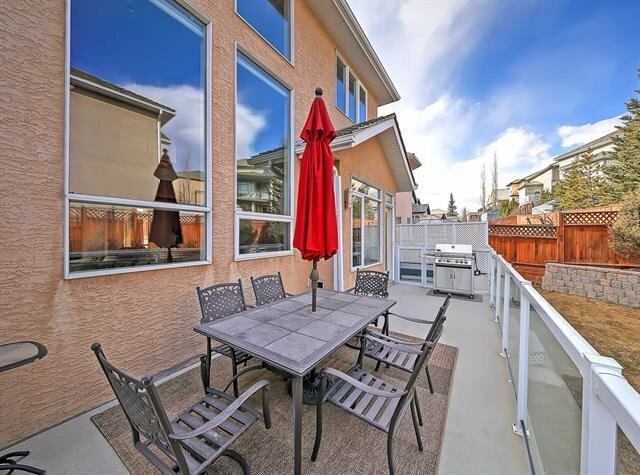 26 Royal Crest Way NW, Calgary - 3 beds, 4 baths - For Sale Janet Preston/John (J.R.) Rogers - DISCOVER REAL ESTATE LTD. 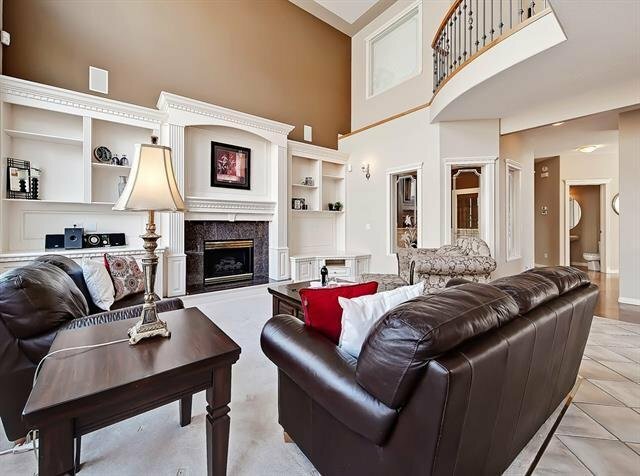 Stunning Executive Quality in Royal Oak Estates! 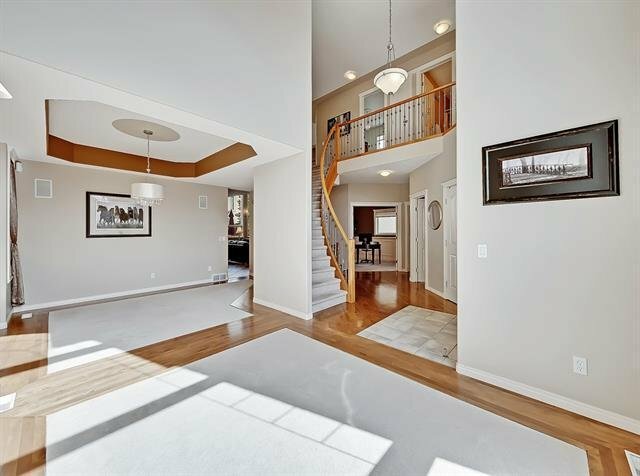 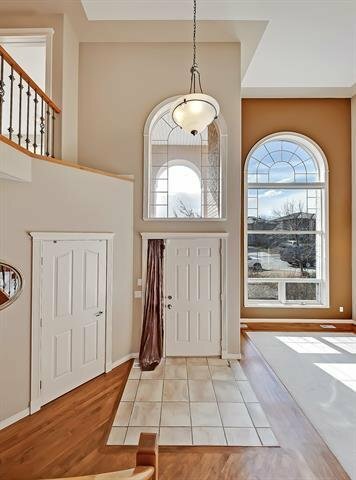 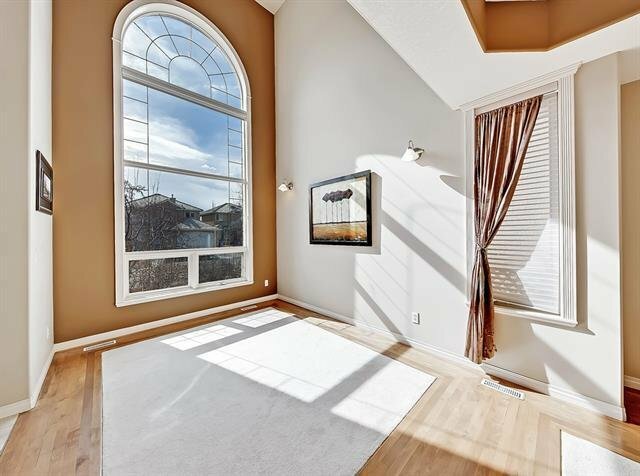 Step into the Grand Entrance your eyes are drawn to the sky-high vaulted ceilings with beautiful 2 storey windows that flood the home w natural light. 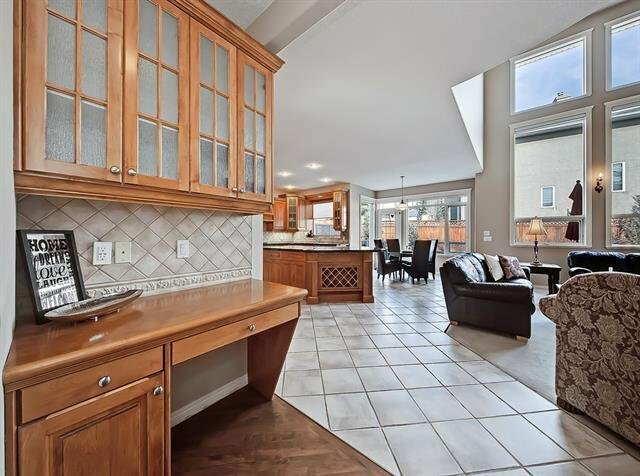 Fully Finished featuring 3900 sq ft of top-notch finishing; an absolutely stunning kitchen & living room w vaulted ceilings & plenty of built-ins. 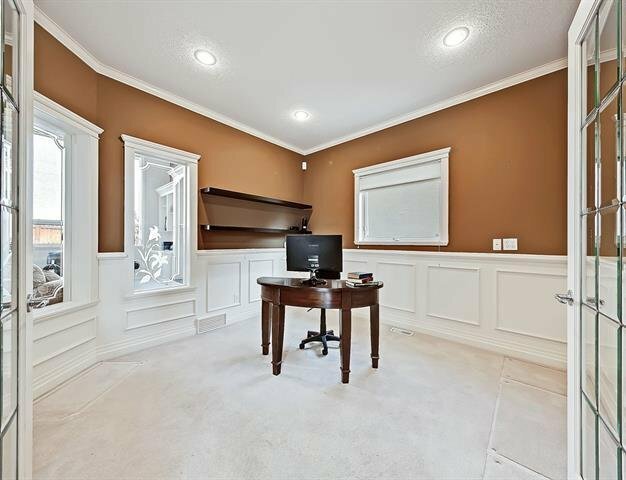 The spacious front office is highlighted w wainscoting. 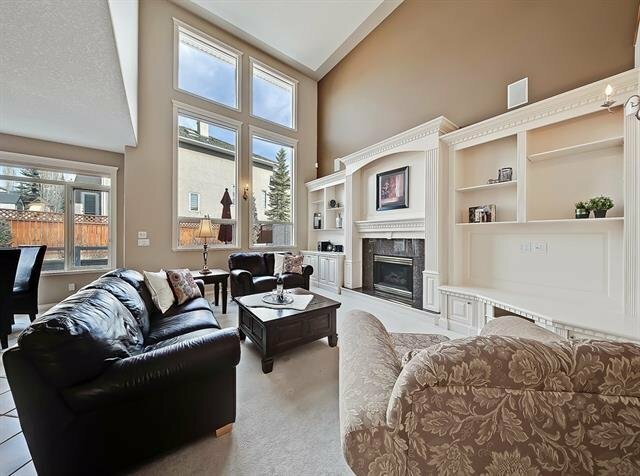 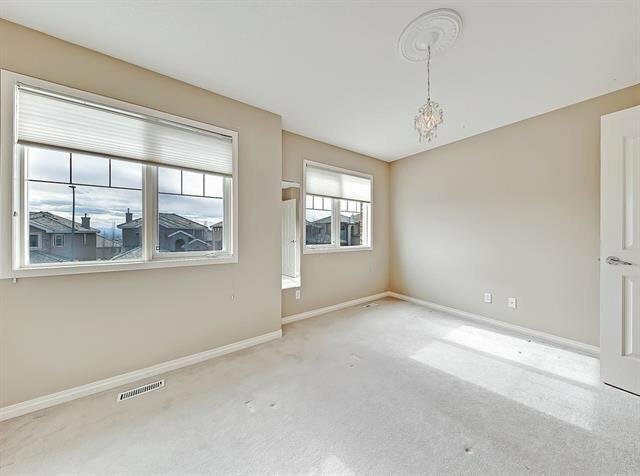 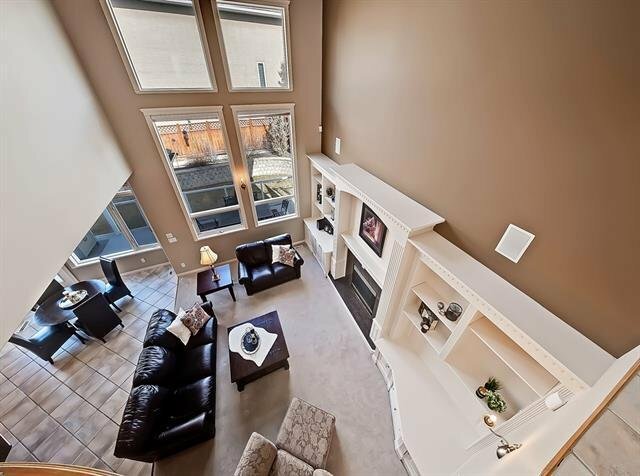 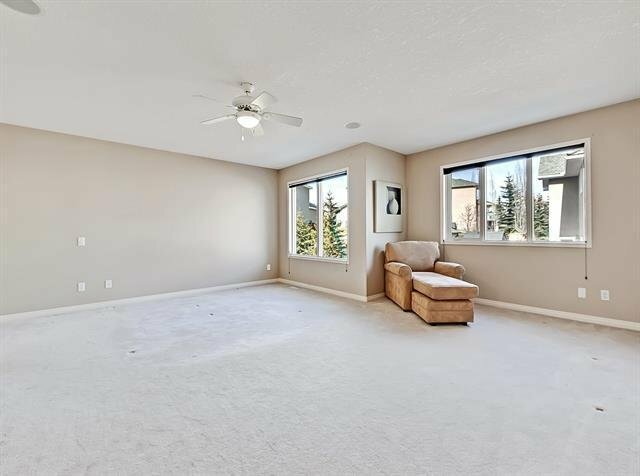 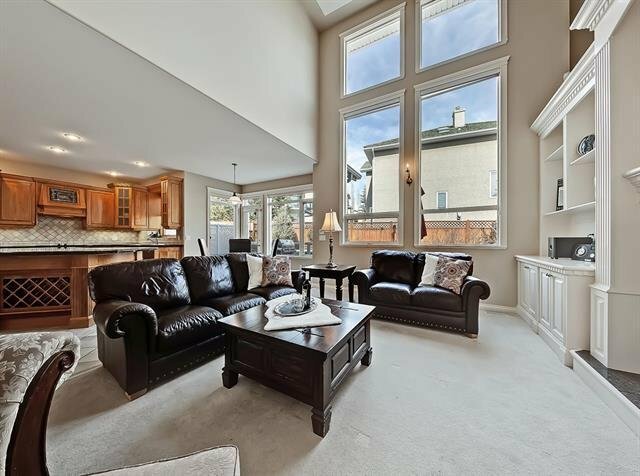 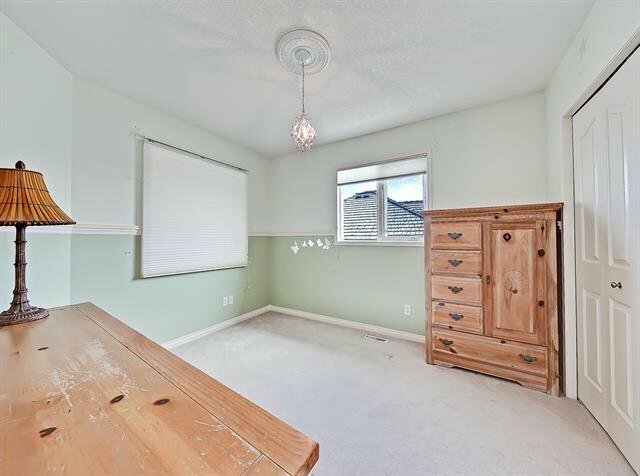 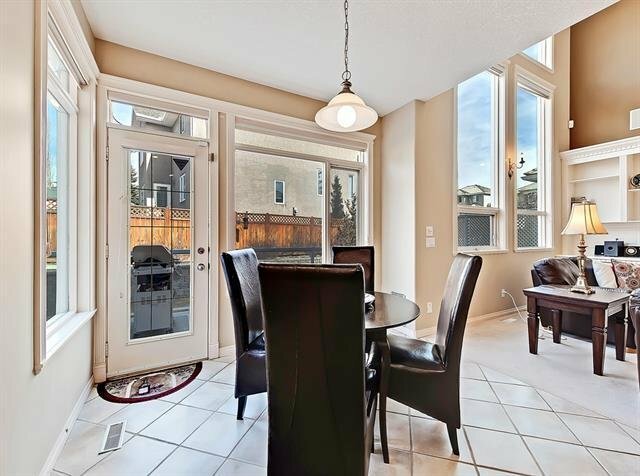 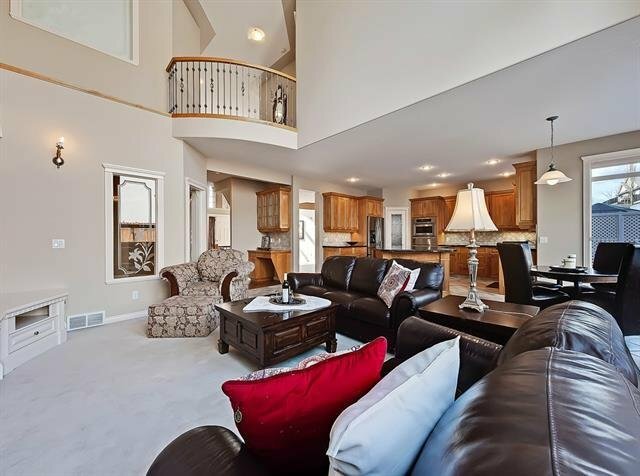 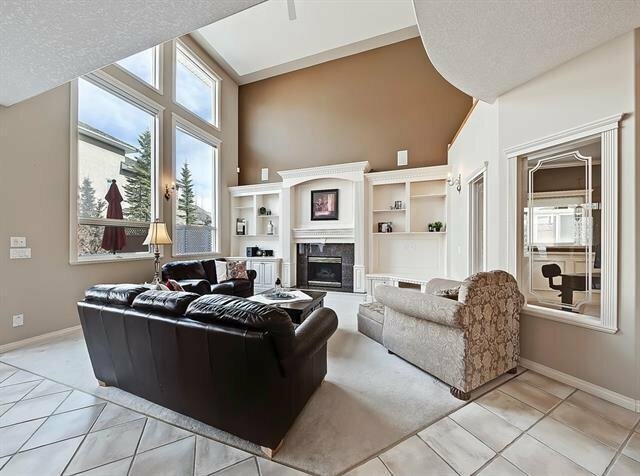 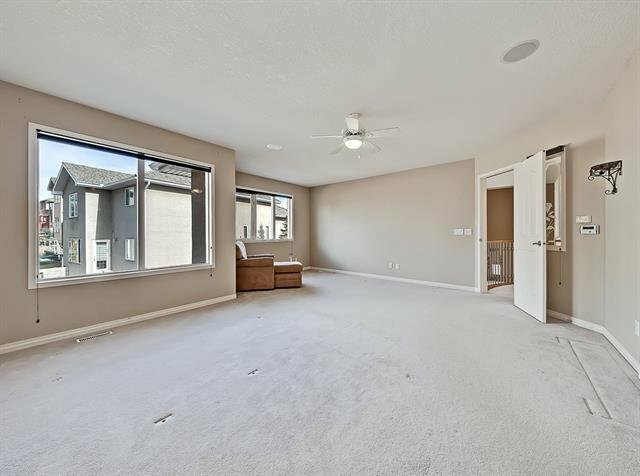 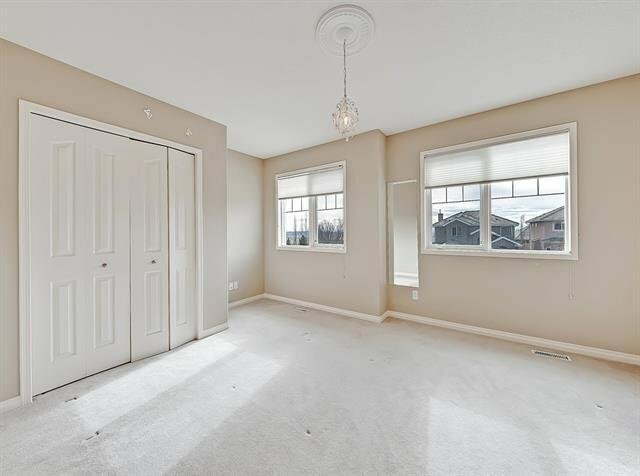 You’ll love the huge windows in the 2 main floor living rooms; the open concept makes for ideal entertaining. 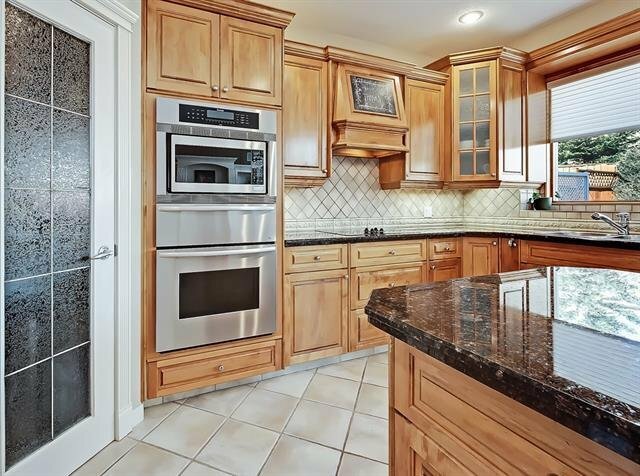 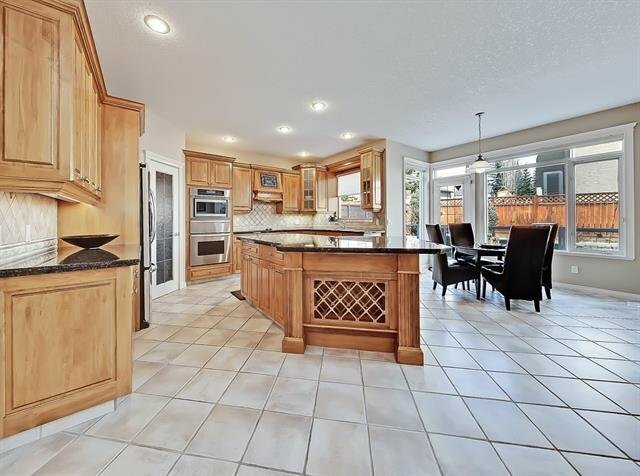 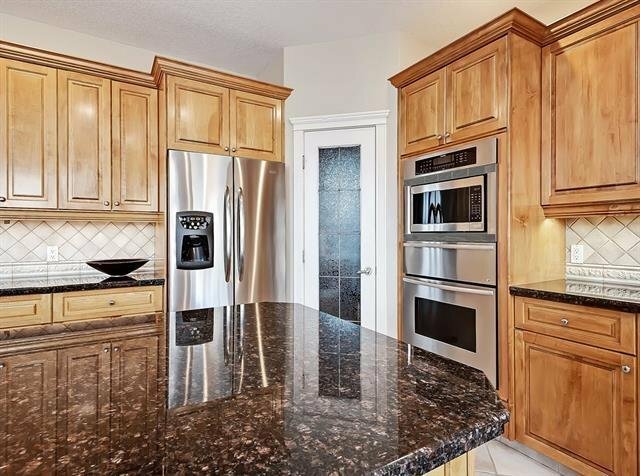 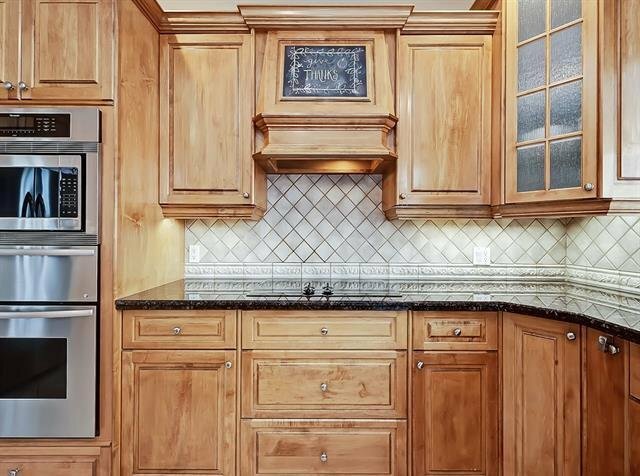 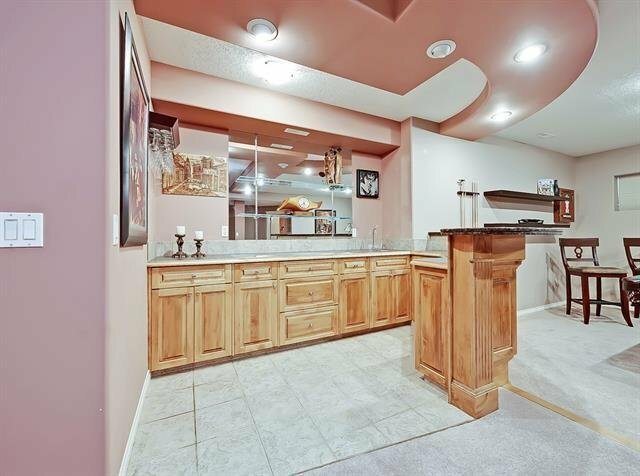 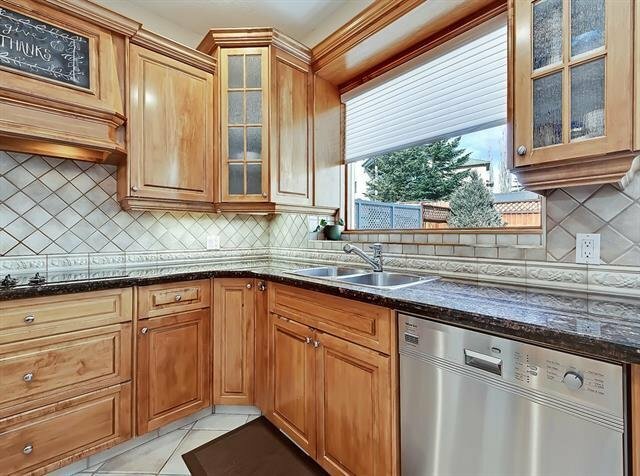 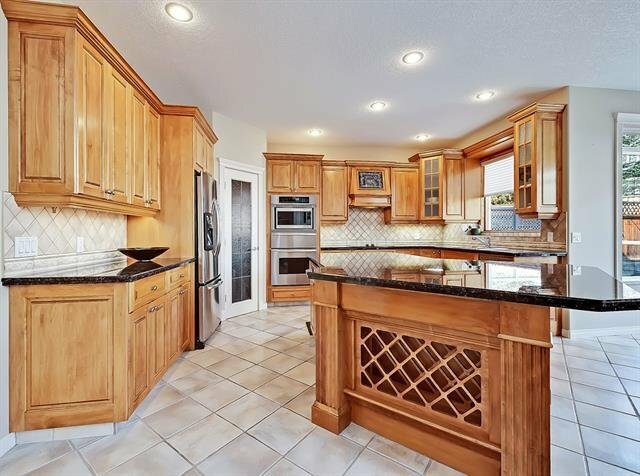 The chef’s kitchen is one to impress w beautifully detailed cabinets, large granite island, built-in wall oven & cooktop & a bright eating nook that opens up onto your large back deck & yard…sip your coffee in your HOT TUB! 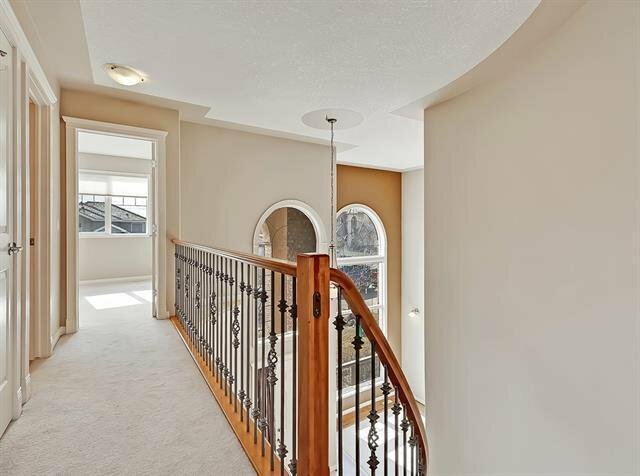 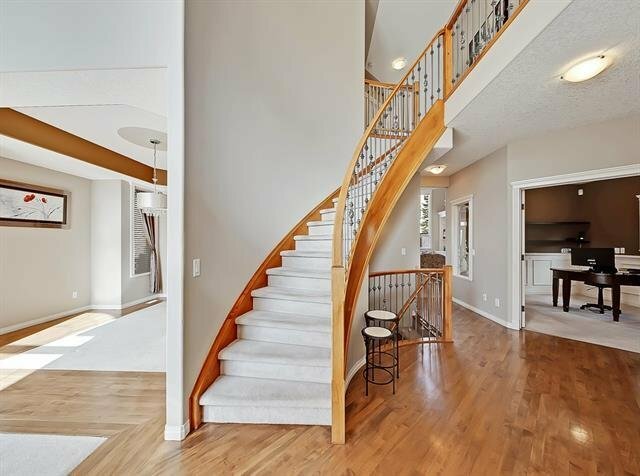 Upstairs has open spindle railing leading up the feature curved staircase. 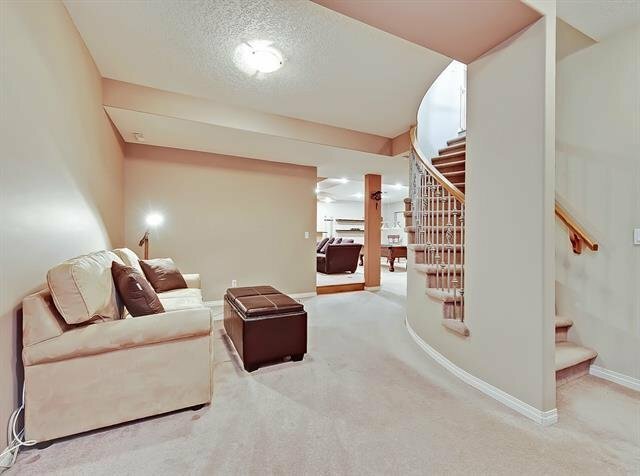 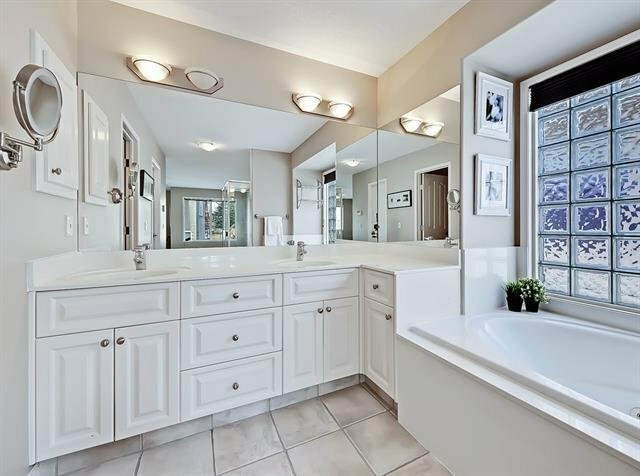 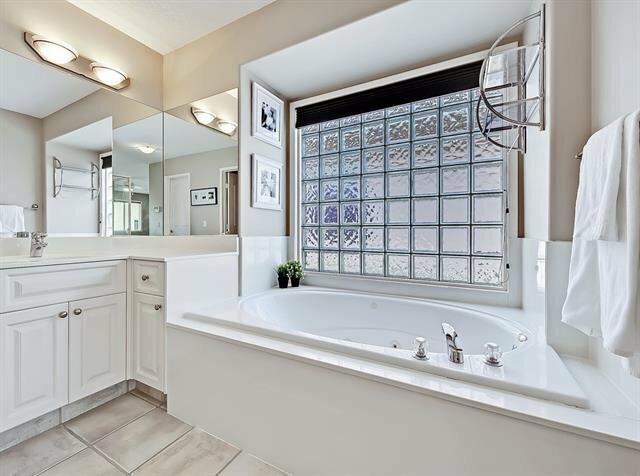 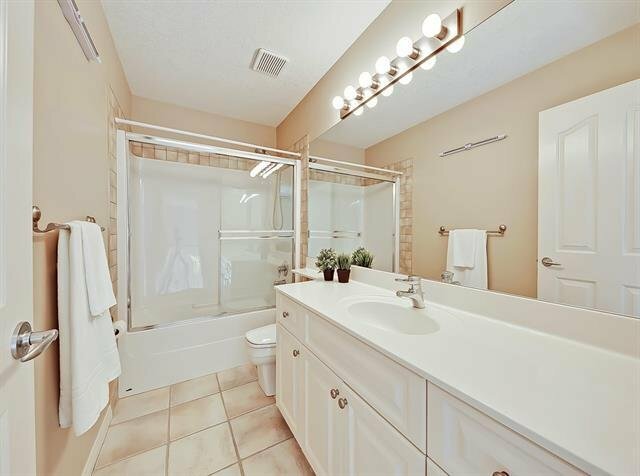 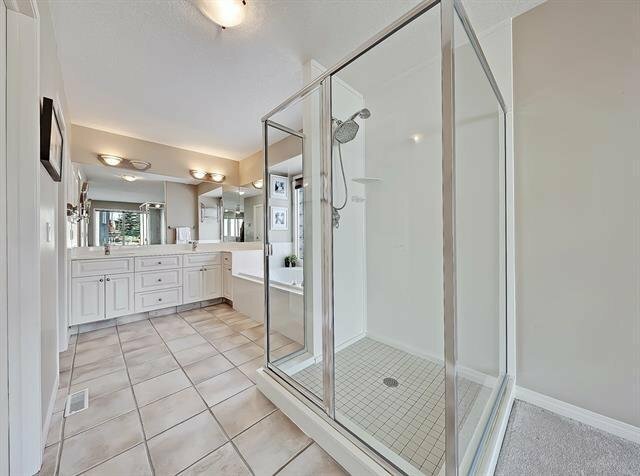 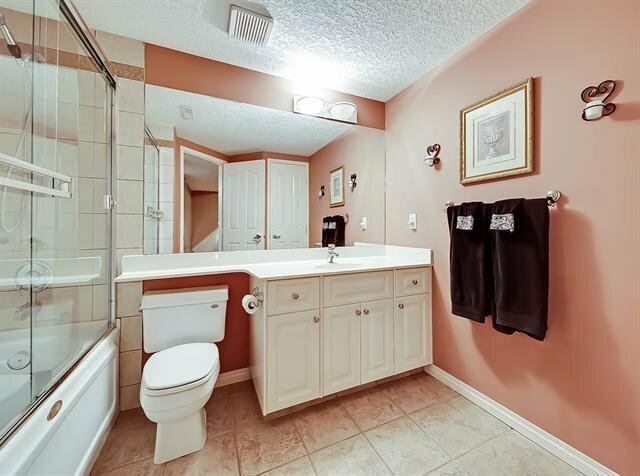 A HUGE master retreat w a spa like 5-pc ensuite w jetted tub & 2 more large bedrooms. 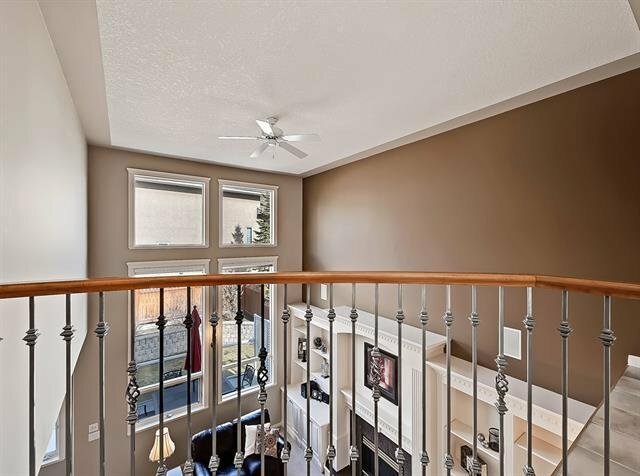 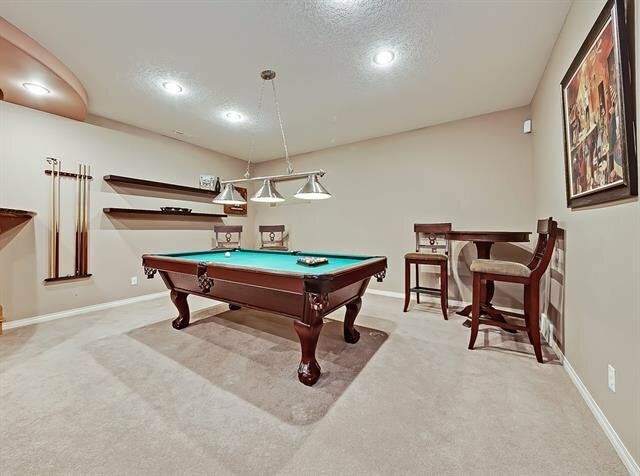 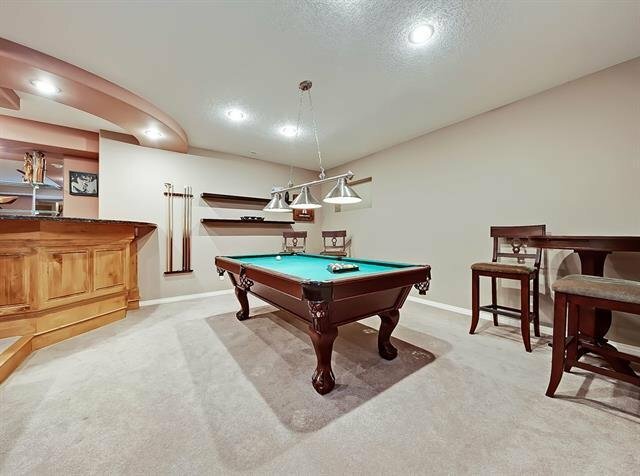 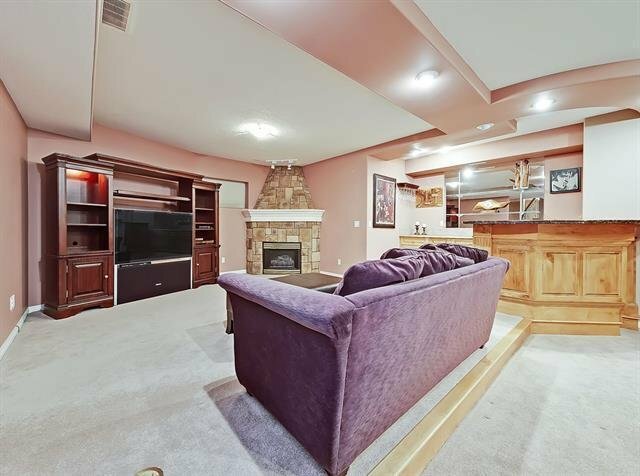 Lower level is pure entertainment; 9 foot ceilings, a built-in media area w WET BAR, 2nd fireplace, flex room & full bath.